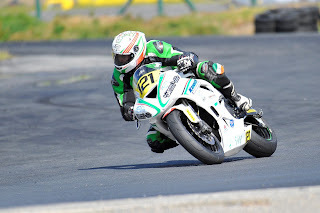 Eoin Collins form County Clare has been nominated for the 'Young Racer of the Year' award following a string of excellent results in the Dunlop Masters Supersport Championship at Mondello Park in June. The twenty year old picked up a hat-trick of Supersport Cup wins to secure a place in the Young Racer of the Year award final in October. The Masters Young Racer of the Year award is open to any rider who is under twenty three and competing at the Masters. At each event one rider is nominated to go forward to the end of year shoot-out where they will have a chance to battle for the €10,000 prize which is provided by Mondello Park, Dawn International and EICL. Following a couple of seasons racing in the Thundersport UK championship Collins returned home to the Masters for 2018 with a view to winning the Supersport Cup championship and the Young Racer of the Year award. The season started well with a pair of podium finishes at the opening event, followed up by a trio of wins at the next. 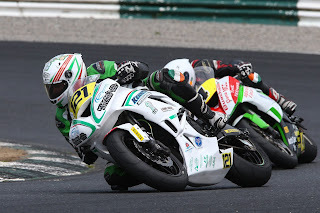 A non-finish at round seven in May proved costly for Collins, as he dropped points to the series leader Keelim Ryan, but things would improve again at the June Masters where he secured his second treble of the season. The opening race of the June event was a turning point for the Clare riders season. 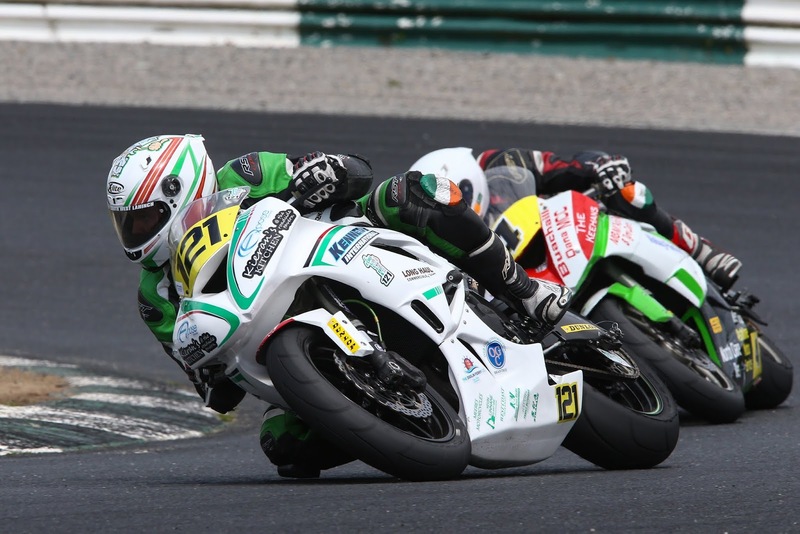 A battling performance saw him recover from a poor start and overtake his main championship rivals Keelim Ryan and Kevin Baker, on his way to the Cup win and fifth overall. An almost identical story in the second race produced Collins' second win of the weekend and closed the points gap to Ryan once again. The third victory was more straight forward as he led the Cup battle from the start on his way to fourth overall. Eoin Collins now joins Aaron Wright, Caolán Irwin and Jamie Lyons in the October final. As part of his prize he will also receive a free entry, testing and garage space for the next Masters event he competes at.